Stroke and chronic kidney disease are usually not linked, as they are both problems connected with different body systems. However, a new study shows that elderly people who suffer from chronic kidney disease and are on anticoagulants, commonly known as blood thinners, have a higher risk of stroke. Older people often suffer from a condition called atrial fibrillation, which refers to an irregular heartbeat caused by uncoordinated and weak heart muscles. In order to ensure smooth passage of blood in the heart atria (upper chambers), patients are often prescribed blood thinners. Approximately one-third of the elder adult population suffer from this condition. Chronic kidney disease is another problem that older people commonly face. It refers to a gradual decline in kidney function, ultimately leading to kidney failure. High blood pressure, being overweight, and cardiovascular disease are among the several risk factors for this condition. Therefore, it is not surprising that many people who suffer from conditions such as atrial fibrillation also suffer from chronic kidney disease. It has been estimated that nearly half a million people over the age of 65 suffer from both these conditions in the UK alone. When a person has chronic kidney disease and atrial fibrillation, there can be complications. To look into this and estimate mortality risks in elderly patients, researchers decided to conduct a population-based study. This was a retrospective cohort study, which meant that the researchers referred to historical data of a group of people and observed them over a period of time. In this study, the group of people comprised those who were more than 65 years old and suffered from chronic kidney disease and atrial fibrillation. This data was obtained from the database of the Royal College of General Practitioners. Researchers identified 4,848 participants suitable for the study. Some of them were on anticoagulants. The researchers divided the participants into two groups—those who were on blood thinners and those who were not. Both groups were then observed for around 506 days, following which, researchers estimated the likelihood of participants having a stroke or developing a hemorrhage. They also calculated the crude rate of ischaemic stroke, a type of stroke that is caused by lack of blood supply to the brain. In simpler words, they calculated the number of strokes per 100 participants. Researchers found that participants who were prescribed anticoagulants were 2.6 times more likely to have a stroke and 2.4 times more likely to suffer a hemorrhage compared to participants who were not on blood thinners. In addition, the crude rate of ischaemic stroke was higher, at 4.6 per 100 for those taking blood thinners compared to 1.5 for those who were not on the medication. Researchers also observed lower mortality rates among the latter group. The study shows that in elder patients suffering from chronic kidney disease, anticoagulants seem to have a negative effect. Instead of ensuring longevity, there have been higher instances of stroke and mortality. 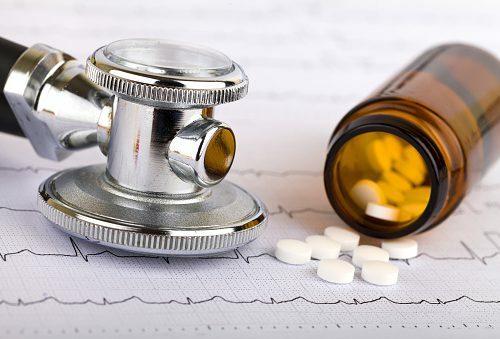 Dr. Shankar Kumar, the first author of the study, adds that those suffering from atrial fibrillation are “prescribed blood thinners to reduce the risk of stroke.” However, the medication seems to have the opposite effect.